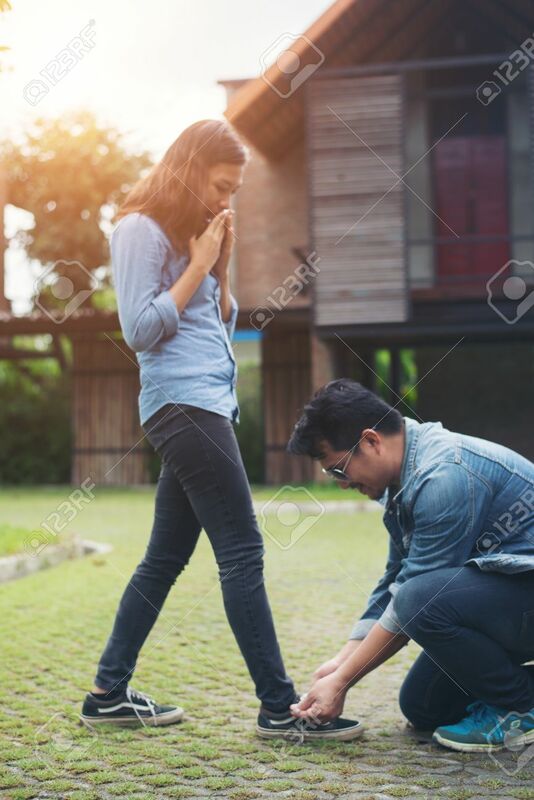 Hipster Boyfriend Tying Shoes To His Girls While Go The Relaxing In Holiday, Couple In Love Concept. Banco De Imagens Royalty Free, Ilustrações, Imagens E Banco De Imagens.. Image 77501038.